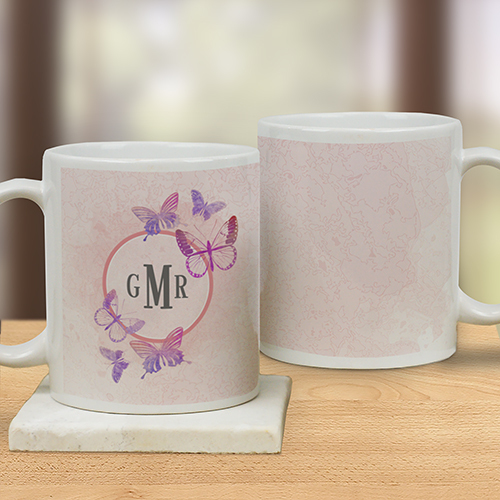 Give her a beautiful Spring gift that she will love to hold and sip her favorite beverage from with a Monogrammed Butterflies Mug. We will custom create this pastel monogram design for your Mother's Day Cup or Easter Gift when you create Personalized Mugs with any first, middle, and last initial to create a personalized Spring gift just for her. Any lady will love this gift for spring, Easter, or anytime of year. *Please Note:First initial will be on the left, middle initial will be on the right, last initial will be larger in the middle of the personalization.